I've never been a fan of changing up your 'normal' just because its valentines day. Instead, remind the people close to your heart how much you care for them, and value them as people. 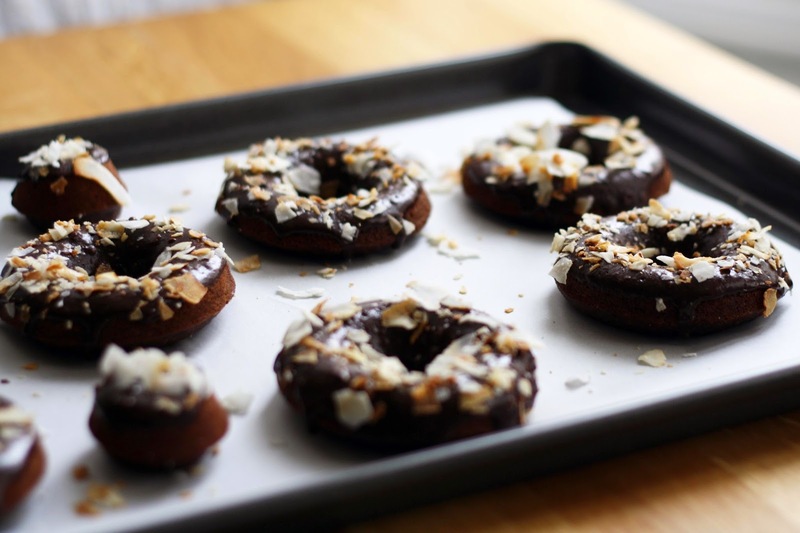 An added bonus would be to pamper them with baked goods, and for that, I give you these chocolate-y, coconut-y, gluten free, baked donuts. Pretty much ideal for anyone and everyone! 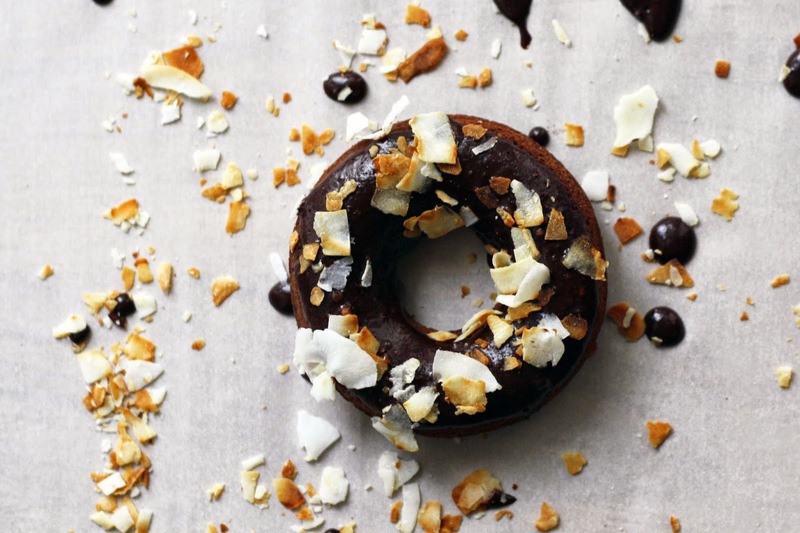 Adapted from Ashley McLaughlin's "Baked Donuts for Everyone"
Grease your donut pan with unsalted butter and set aside. In a separate bowl, whisk the eggs, then add the buttermilk, apple sauce, oil and vanilla. Whisk until well combined. Pour the wet mixture over the dry, and using a wooden spoon, stir just until combined and no more visible dry flour remains. Transfer the batter into the donut pan, using a spoon or piping bag. I found the piping bag yielded a smoother, rounder donut. Fill each mold almost to the top, as the donuts don't really rise. Bake for 18-22 minutes, until a toothpick comes out clean. Let cool in the pan for 5 minutes before transferring to a wire rack. 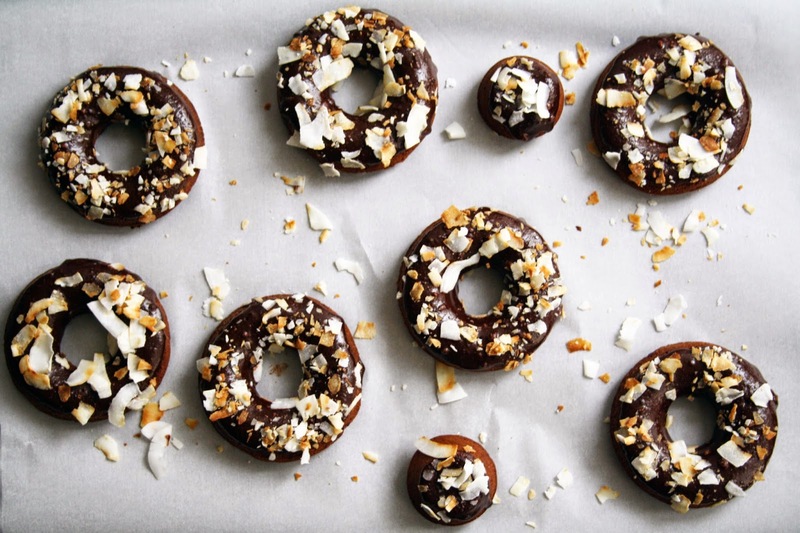 Wait for donuts to cool completely before icing. To make the glaze, whisk together the icing sugar and cocoa powder. Add the coconut oil and almond milk, 1 T at a time, until desire consistency is reached. 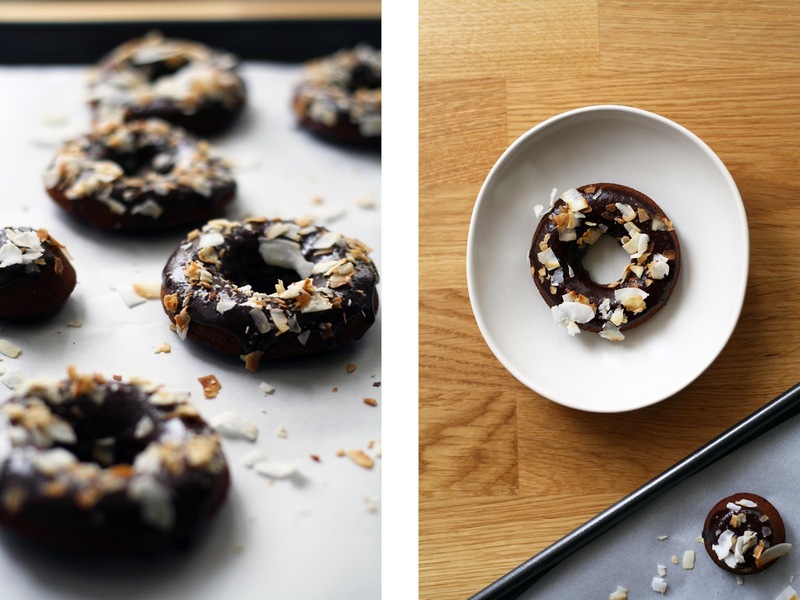 Dip each donut into the glaze (I dunked the bottom half), then turn up right onto a wire rack and sprinkle with coconut.